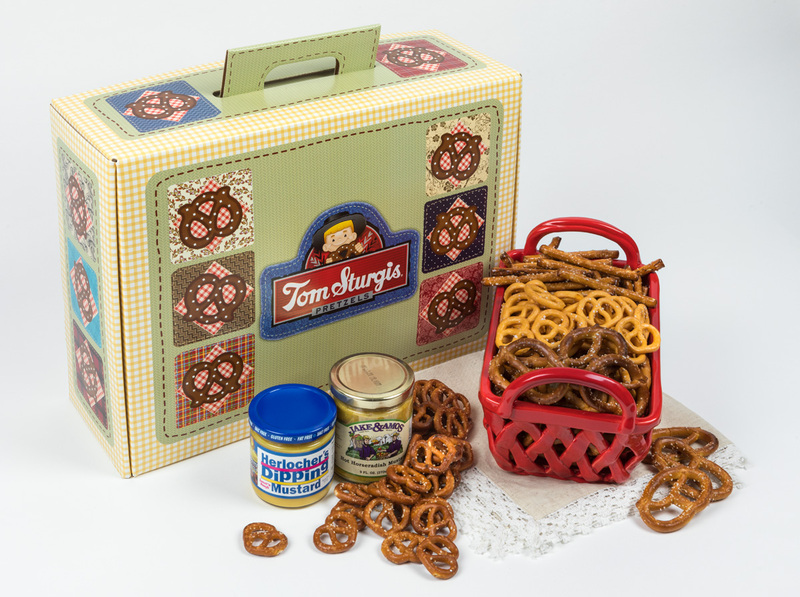 Keep the crowd happy with an assortment of Specials, Thick Stiks, Little Ones and Little Cheesers pretzels. Includes an 8 oz. jar of Herlocher's Sweet & Rough Mustard and 9 oz. jar of Jake & Amos Hot Horseradish. They'll enjoy the dipping mustards, and you'll enjoy the convenience of taking this tote to any event. Net Wt. 3 lbs. 12 oz.